White Plains Dental, your Northbrook dental office, is welcoming new patients to the practice. 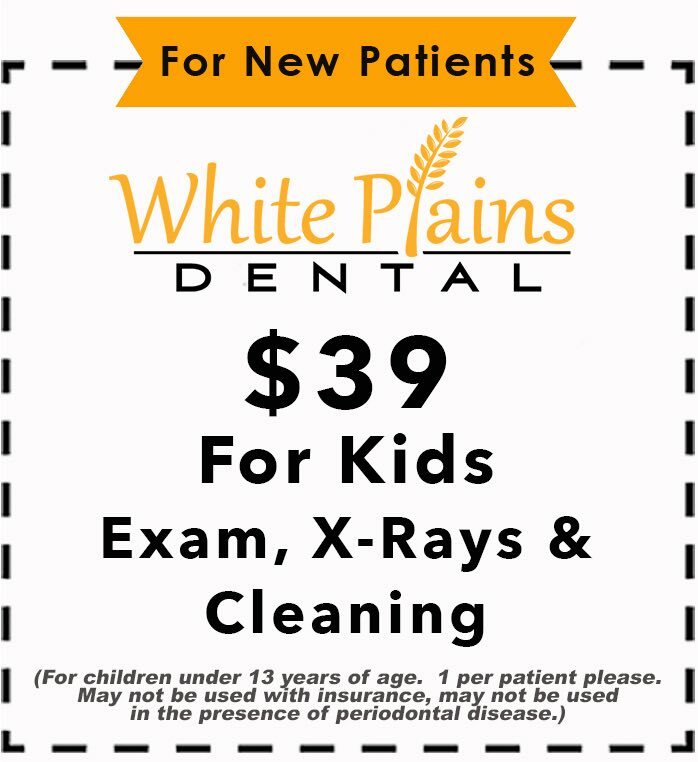 Children 12 years old and younger can get an exam, cleaning and digital x-rays for just $39. Mention this coupon when calling to make an appointment. You can reach us at (847) 787-1155. We have many other new patient dental coupons for adults and teens that make coming to the dentist affordable in Northbrook. We have evening and Saturday hours to fit your busy schedule. White Plains Dental is conveniently located at Dundee and Landwehr in the White Plains Shopping Center.